The North has a distinct character, landscape and history making it a quite different experience to the Peloponnese. The different climate (wetter!) means the area is altogether greener, the land more cultivated, with fruit trees more common than olives. This part of Greece is much less visited than the South & we often have the sites almost to ourselves. 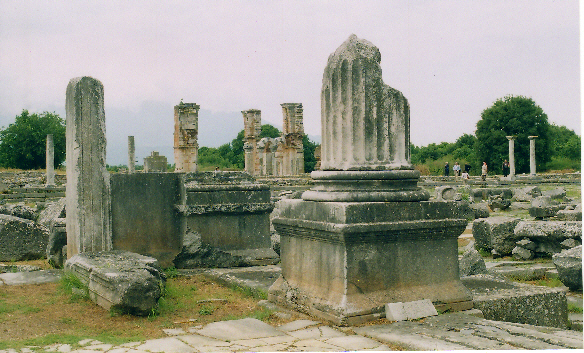 The tour will concentrate on Macedonia, the land of Philip II & Alexander & route of the Via Egnatia. We will again be going East to visit Amphipolis, Phillipi & Kavala. 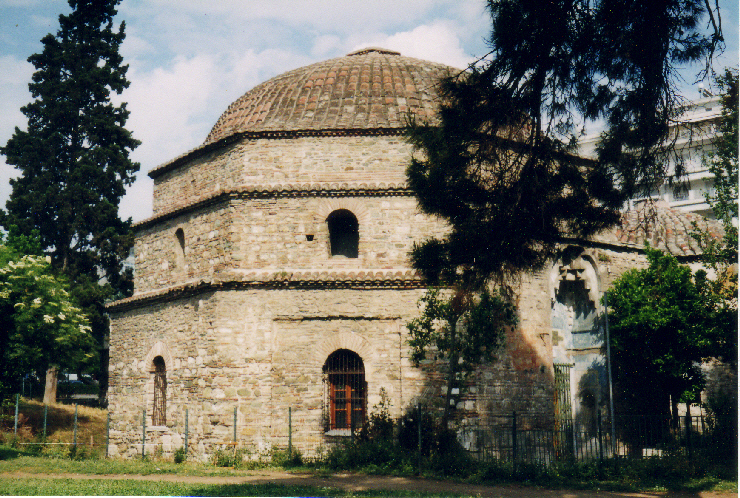 The region was occupied by the Ottomans until 1913 & still has a strong Turkish influence in its architecture & cuisine. We fly to Thessaloníki where we will spend 4 nights. There is so much to see in this vibrant city with a wealth of Roman remains, Turkish baths, two fine museums, mosques, dozens of churches, both Byzantine & modern, a large bazaar & many excellent restaurants. 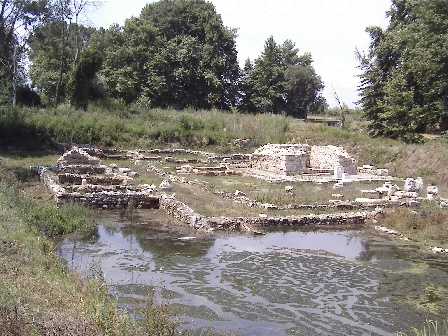 Our first day we go to Pella, capital city of King Philip ll where his son Alexander was born in 356 BC. The C4th BC pebble mosaic floors on the site & in the lovely museum are superb. 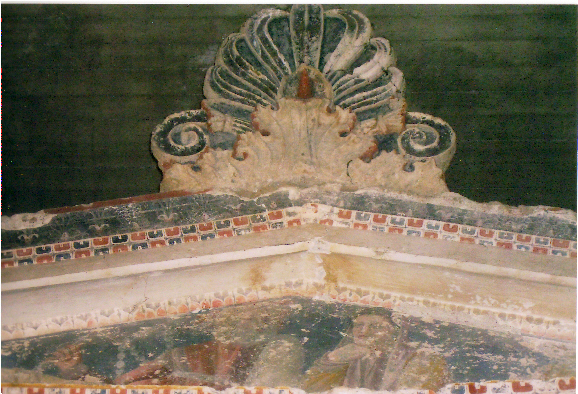 Next we visit two Macedonian tombs at Lefkadia; these beautiful C4th BC barrel vaulted marble tombs have exquisite painted decoration. Then we will go to Aristotle's school at Mieza, where Philip sent Alexander & his friends to be taught by the philosopher. The site is tranquil & atmospheric, an idyllic place for a picnic lunch listening to nightingales singing & picking wild mulberries for dessert! The next day is a 'free' day in Thessaloníki visiting the Palace, magnificent triumphal Arch & Rotunda of Galerius Caesar, the Roman Agora, the Turkish Baths, White Tower, bazaar, St Sophia, & much more, leaving time to enjoy a drink on the sea front! The museum has a magnificent display of Macedonian gold. 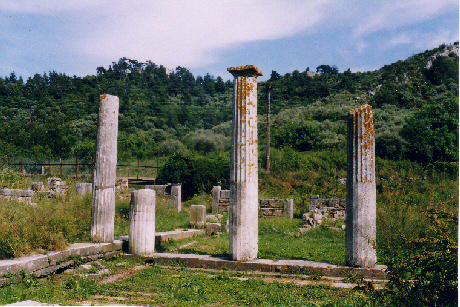 Then we go first to Veryina (ancient Aigai), now confirmed as the old capital of the kings of Macedon. It is a breathtaking experience: the Great Tumulus contains Philip's tomb & two others, together with a staggering array of articles found in them. Here is the gold casket, which contained the bones of Philip. We will also visit the site of Philip's palace & the theatre where, in 336 BC, he was murdered & Alexander crowned king. Next we go to Dion, another idyllic site, ( nightingales, hoopoes and rollers here) at the foot of Mount Olympos. Sanctuaries to Demeter, Dionysos, Isis, & Zeus were built here in the C6th BC & Alexander held a massive party & gave supplication to Zeus, before his campaign to India. 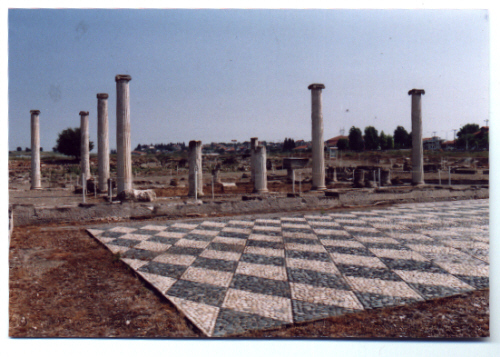 There are also substantial remains of the Roman city including a theatre, odeion, public baths & the House of Dionysos which has a fine mosaic floor. Then we travel east to Amphipolis. Founded in 437 BC Amphipolis this is another very large site with remains from the C5th BC, including unique remnants of the bridge over the river Strymon, some 10 kilometres of defensive walls, the painted walls of a Hellenistic house, and several Byzantine Basilicas. Nearby is the magnificent C4th BC colossal marble Lion of Amphipolis. We spend 4 nights in the fishing port of Kavala, where St Paul landed in AD 49. 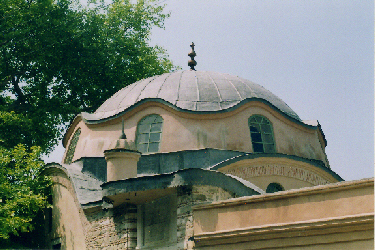 The old town is charming, a maze of steep, narrow streets overhung with pretty Turkish houses leading up to the kastro. There is a fine 16th century aquaduct & an excellent museum. From here we visit Philipi, site of the battle in 42 BC. Most of the extensive remains we see are Roman & Christian, including part of the original Via Egnatia, a fine theatre, a forum, public baths, three basilicas & what may have been St Paul's prison. We will go further east into Thrace to visit Xanthi, a town with a large Turkish population & an old Ottoman quarter with elegant mansions built by C19th tobacco merchants. We will make a day trip to Liménas, the capital of Thasos, a short ferry ride away, where there is an ancient akropolis, theatre, agora, remains of several sanctuaries and good beaches.